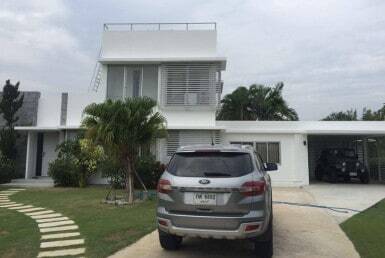 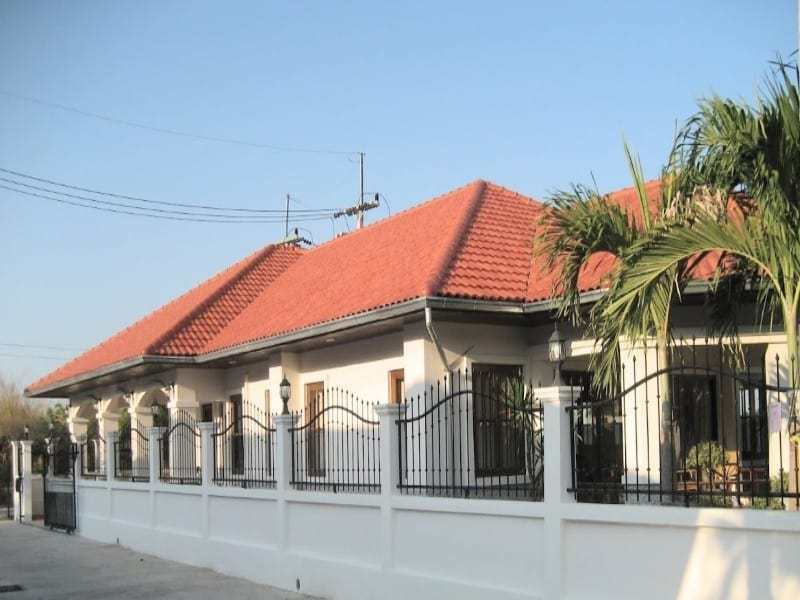 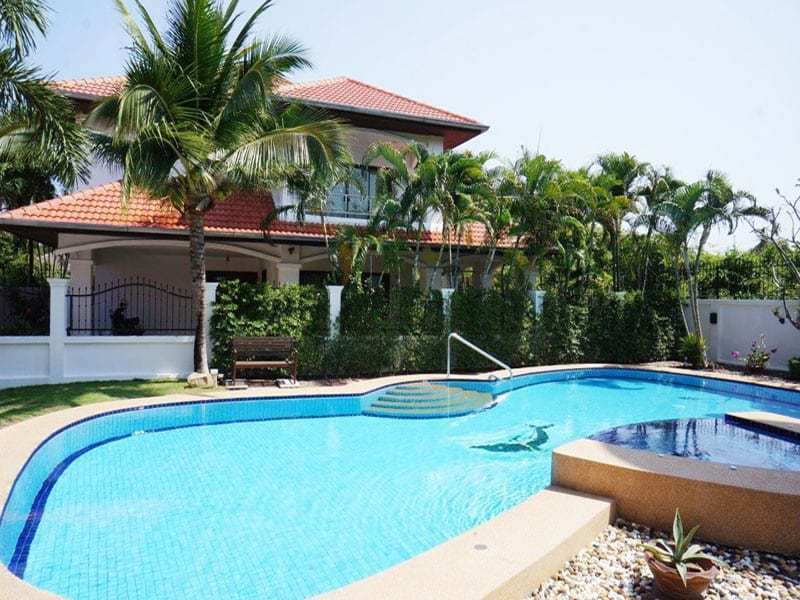 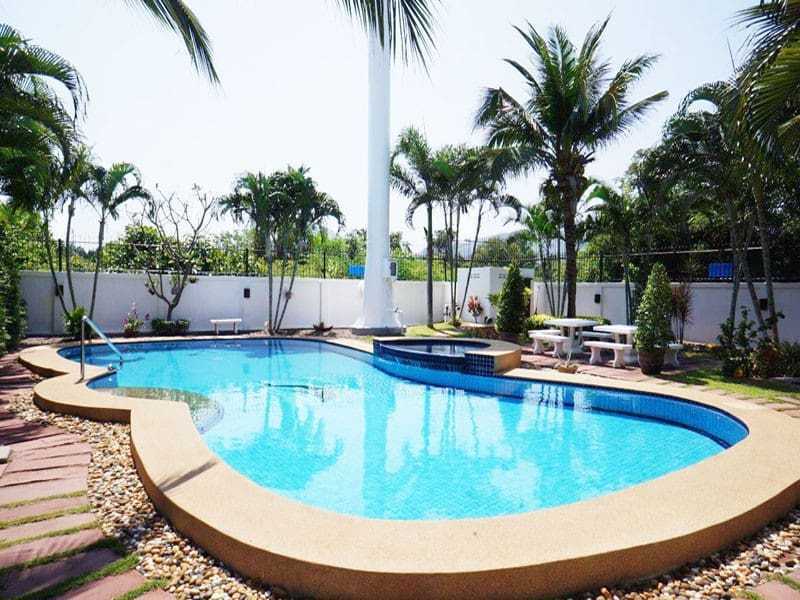 Modern home in good condition for sale in Hua Hin on a small development with communal swimming pool. 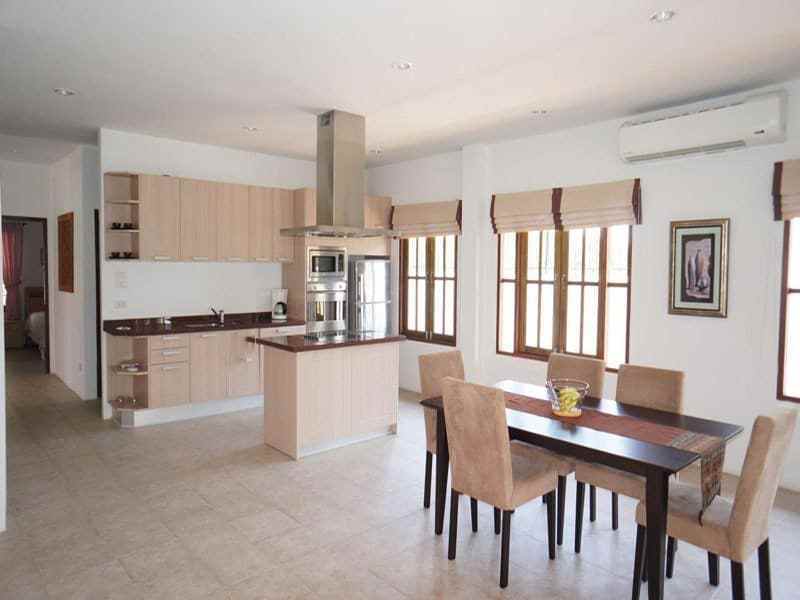 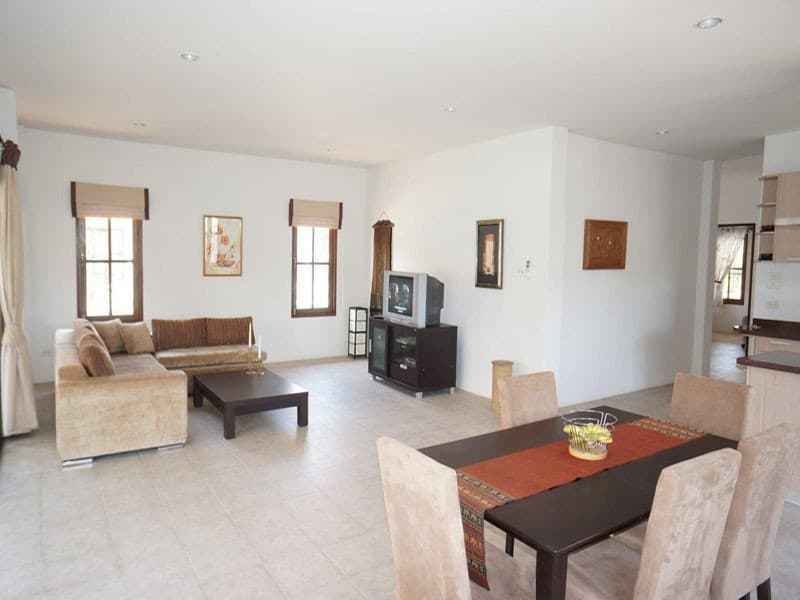 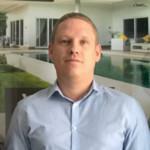 A well kept and updated 3 Bedroom and 2 Bathroom villa at a reasonable price suitable for most budgets. 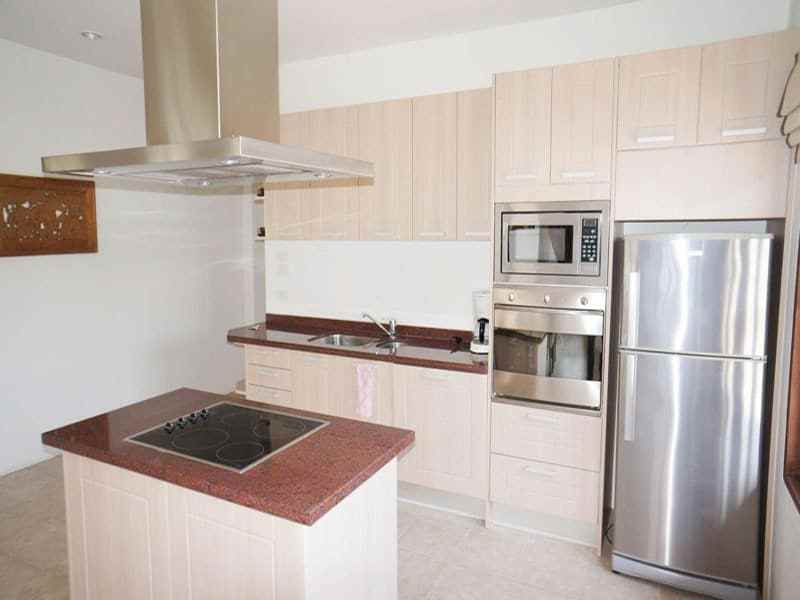 The updated modern European style kitchen has an additional breakfast bar with granite surfaces throughout. 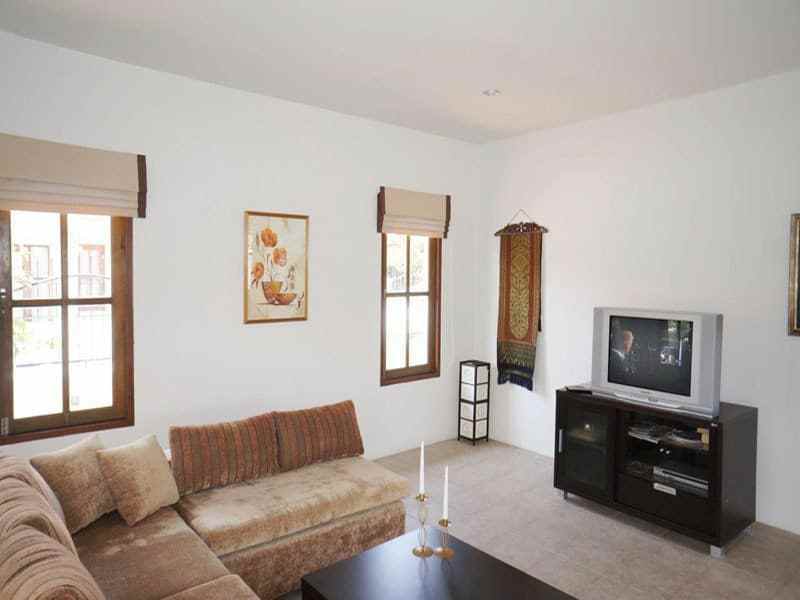 Adjacent to the open plan kitchen is the spacious dining area which is also next to the lounge area which has sliding doors leading directly to the terrace. 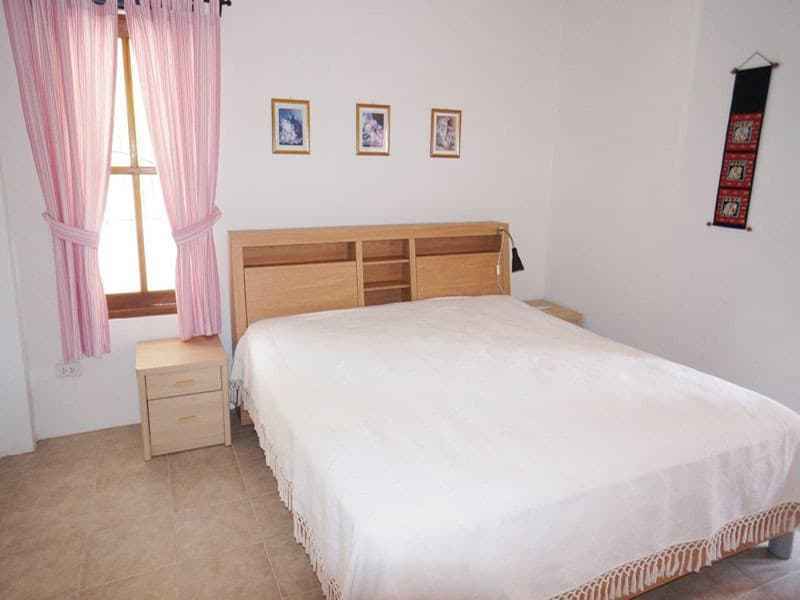 The bedrooms are spacious and large enough for double beds, one bedroom is currently being used as a home office. 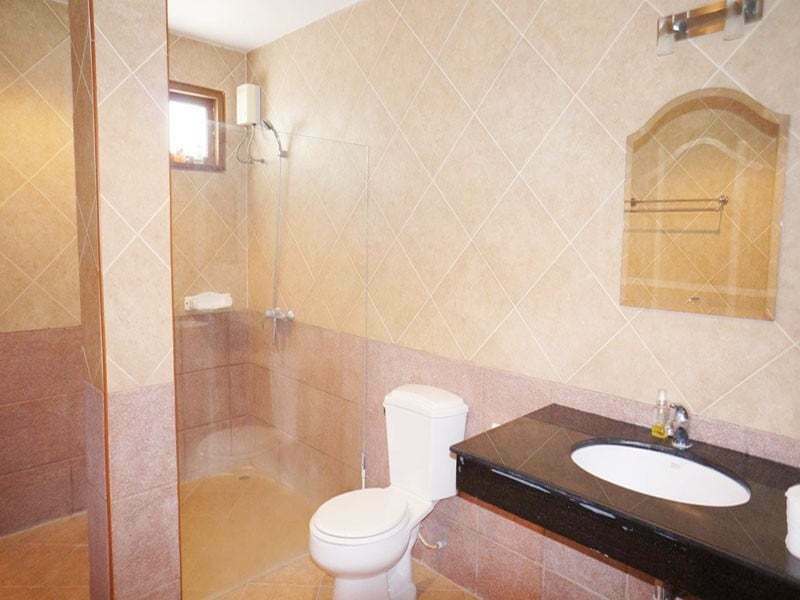 The bathrooms have also been updated in a tasteful manner using high end fittings. 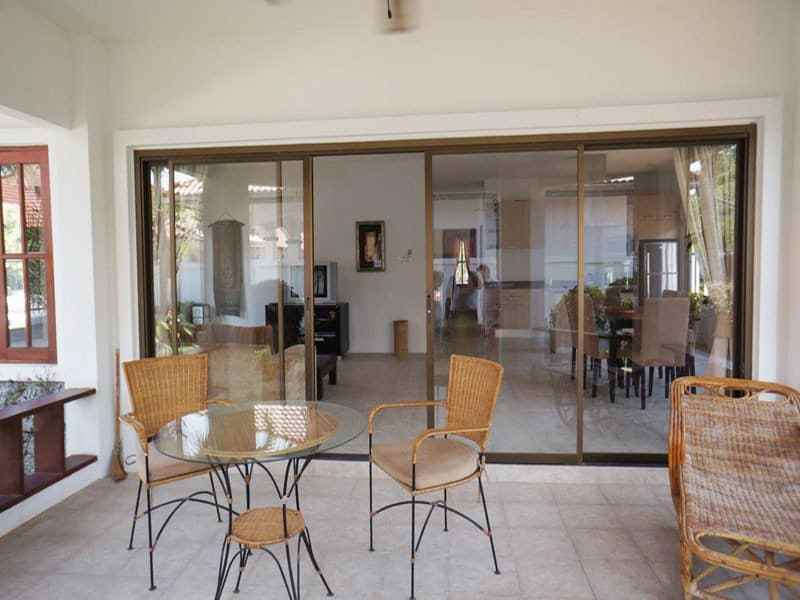 To the front of the house there is a covered terrace area which is ideal for eating and relaxing. 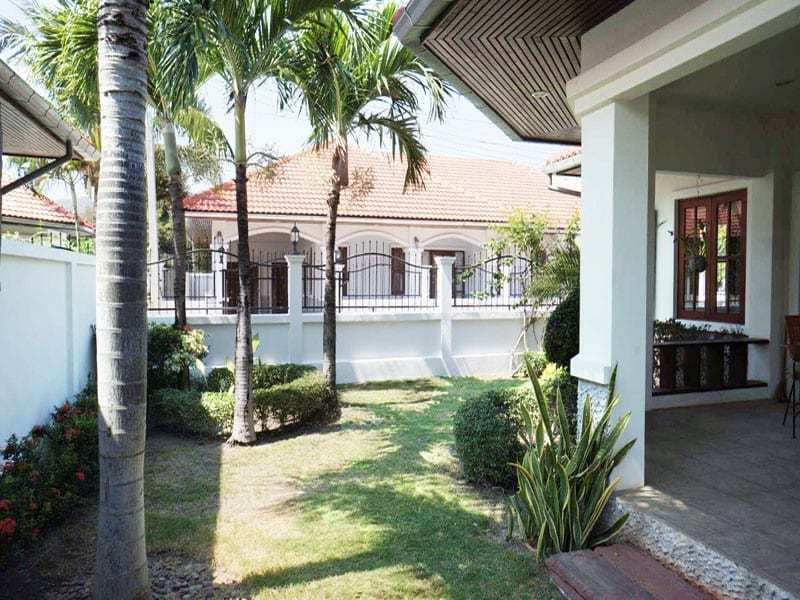 The garden has many shrubs and small palms furthermore the lawn garden has been well maintained.